Various stations and areas occupied by 35th Quartermaster since entry into active federal service. 23 December 1940 – National Guard of QM, which was part of the 35th Infantry Division, mustered into active federal service. 2 January 1941 – arrived at Camp Robinson, Arkansas, near Little rock, Arkansas. 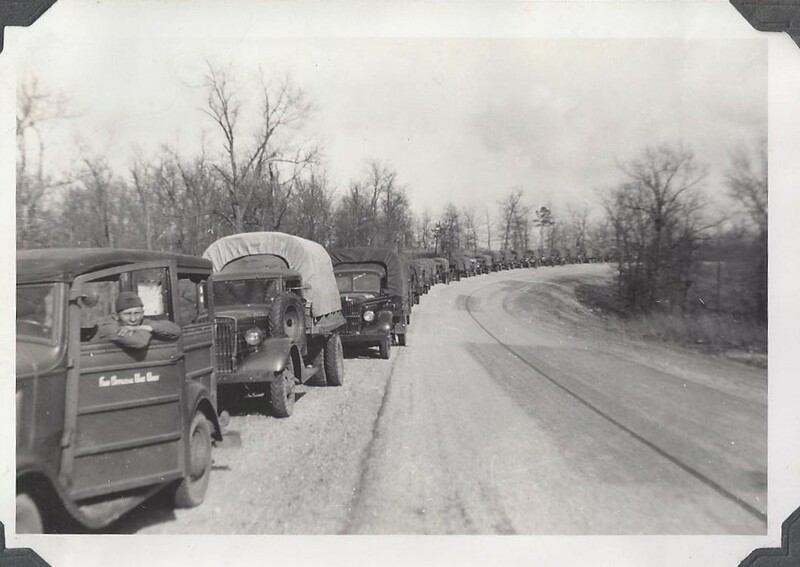 13 May 1941 – Provisional battalion from QM departed for Second Army Tennessee Maneuvers. 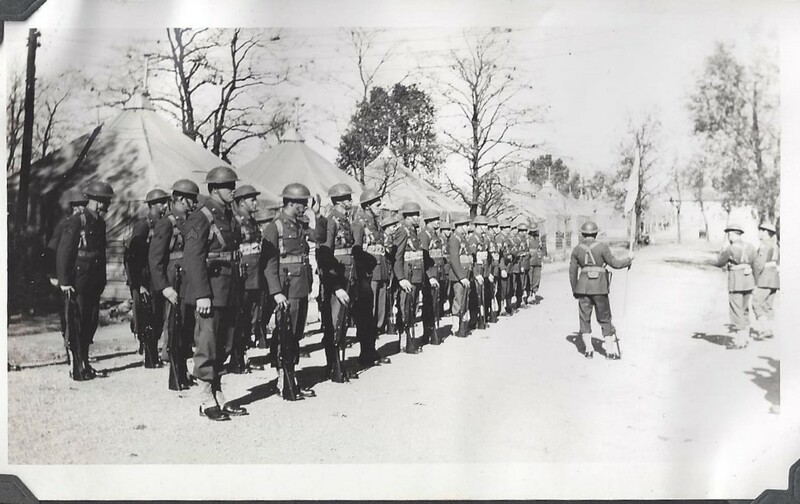 6 July 1941 – QM provisional battalion returned to Camp Robinson, Arkansas. Upon passing through Memphis, Tennessee, individuals YOO Hoo-ed gals. Yoo hooing was voiced as being riotous by General Lear, Second Army Commander. 7 July 1941 – QM provisional battalion marched fifteen (15) miles as punishment for the previously stated Yoo Hooing. Immensely enjoyed by troops with nationwide publicity. 14 August 1941 – QM departed for Louisiana Maneuvers. 6 October 1941 – QM returned to Camp Robinson, Arkansas, from Louisiana Maneuvers. 7 December 1941 – “REMEMBER PEARL HARBOR”. 16 December 1941 – QM departed from Camp Robinson, Arkansas. 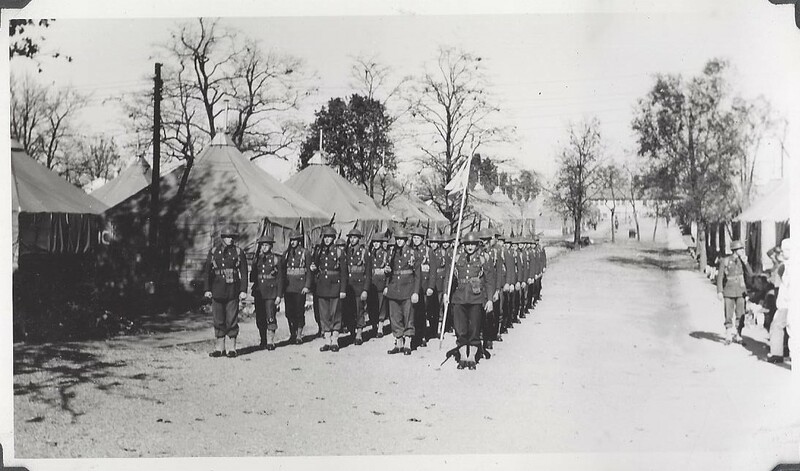 1 March 1942 – QM reorganized from QM Regiment to QM Battalion. 20 April 1942 – QM arrived at Van Nuys California, suburb of Los Angeles. 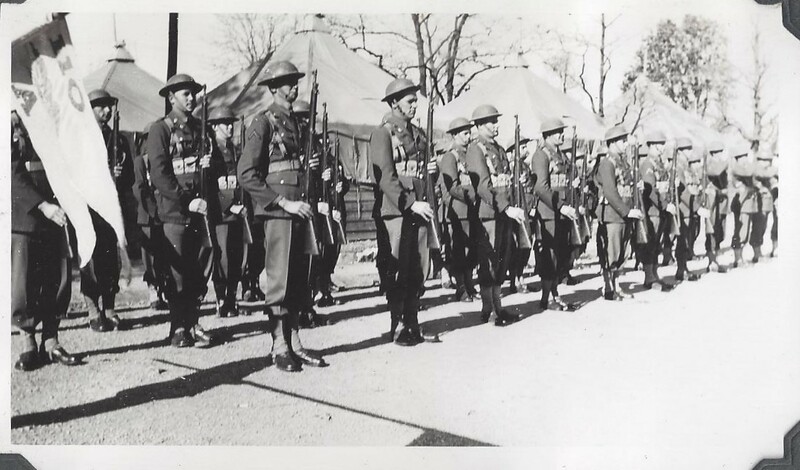 15 November 1942 – QM reorganized from QM Battalion to QM Company. 28 March 1943 – QM arrived at Camp Rucker, Alabama. 15 January 1944 – QM arrived at Camp Butner, North Carolina. 5 May 1944 – QM departed for Camp Kilmer, New Jersey. 11 May 1944 QM departed from Camp Kilmer, New Jersey for Port of Embarkation at New York. 12 May 1944 – QM Departed U.S.A.
26 may 1944 – QM arrived at Scarne Cross Camp located at Launceston, Cornwall, England. 6 July 1944 – QM arrived at Weymouth, England. 7 July 1944 – QM departed from Weymouth, England for France. 35th Quartermaster Company arrived on Omaha Beach 7 July 1944. Upon arrival QM departed for de-water proofing area, which was near COLLEVILLE, France, remaining there approximately two (2) hours. Moved to bivouac area near COLOMBIERES, France. 9 July 1944 – QM moved to bivouac area near LES LANDES, France. 21 July 1944 – QM moved to bivouac area approximately two (2) MILES SW of ST CLAIR, France. 29 July 1944 – QM moved to bivouac area approximately two (2 miles SW of ST CLAIR, France. 20 July 1944 – QM moved to bivouac area approximately three (3) miles NE of ST LO, France. 3 August 1944 – QM moved to bivouac area approximately four (4) miles SW of TORIGNI. Billeted in “Chateau de Breuilly”. 5 August 1944 – QM moved to bivouac area approximately eight (8) miles NW of ST POIS, France, in a wheat field. 6 August 1944 – QM moved to bivouac area approximately four (4) miles South of ST. HILATRE-du-HARCOUET. 35th Div. was placed under Third Army after being with First Army since arrival in France. 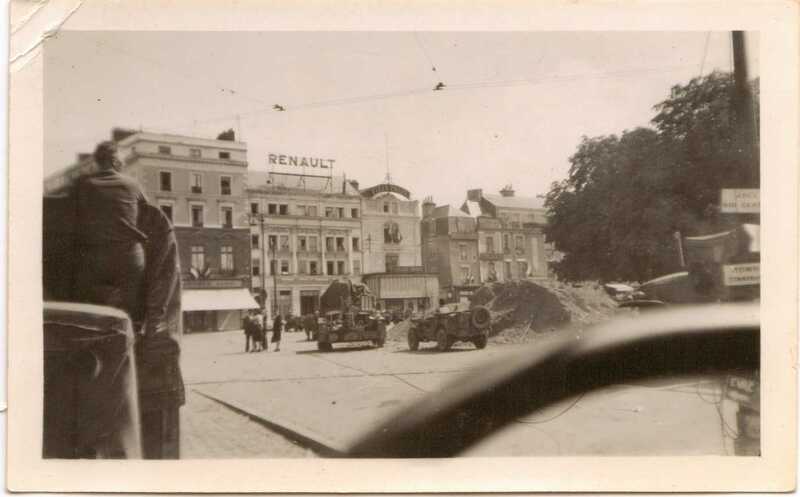 13 August 1944 – QM moved to bivouac area approximately two (2) miles East of LE MANS. 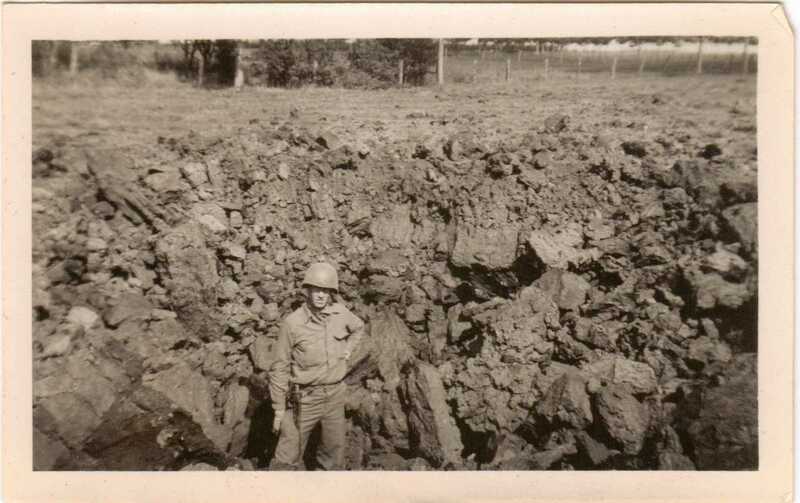 16 August 1944 – QM moved to bivouac area on outskirts of MOREE. Approximately forty (40) miles East of LE MANS. 20 August 1944 – QM moved to bivouac area on outskirts of BAIGNEAUX, in dense woods. 22 August 1944 – QM moved to area vicinity PITHIVIERS for issue of rations, stayed approximately four (4) hours. Continued move to outskirts of LADON, directly West of MONTARGIS. 25 August 1944 – QM moved to bivouac area in vicinity of LA CHAPELLE, approximately four (4) miles East of MONTARGIS. 29 August 1944 – QM moved to bivouac area approximately two (2) miles North of VILLENEUVE-l’archeveque, NE of SENS. 31 August 1944 – QM moved to bivouac area one and one-half (1 ½) miles NW of ESTISSAC, France, approximately ten (10) miles West of TROYES. 2 September 1944 – QM moved to bivouac area on outskirts of CHASSERICOURT, France, approximately fifteen (15) miles South VITRY-le-FRANCOIS. 8 September 1944 – QM moved to vicinity of Bulligny, France, approximately ten (10) miles south of Toul. 15 September 1944 – QM moved one (1) mile NE of Goviller, France, approximately twenty (20) miles SW of Nancy. 18 September 1944 – QM moved to outskirts of Haraucourt, France, almost directly east of Nancy, approximately ten (10) miles. 20 September 1944 – QM bombed and strafed by four (4) planes, dropped two bombs in vicinity of area, no casualties. 25 September 1944 – QM moved to SW section of Nancy, France, in Rommel barracks. 27 September 1944 – QM moved to St. Max, France, which is NE section of Nancy. 12 October 1944 – QM moved to new area within the town of St. Max, France. 10 November 1944 – QM moved to Brin, France, approximately ten (10) miles SW of Chateau-Salins. 20 November 1944 – QM moved to Dalhain, France, approximately five (5) miles NE of Chateau-Salins. 24 November 1944 – QM moved to vicinity NE of Morhange, France, at railroad station. 8 December 1944 – QM moved to the town of St. Jean-Rohrbach, France, in French barracks. 22 December 1944 – QM moved to the city of Metz, France. 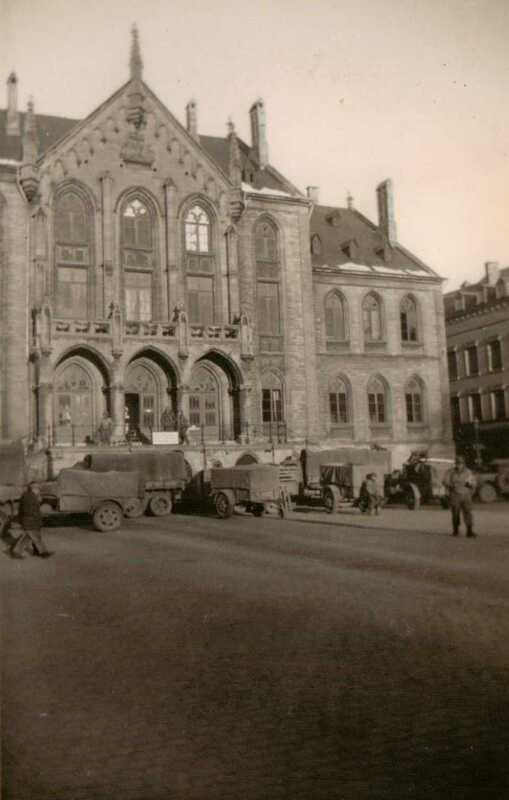 23 December 1944 – QM moved to new area within Metz, France. 26 December 1944 – QM moved to Arlon, Belgium. Billeted in Palais-de-Justice, place of Leopold. 27 December 1944 – QM moved to Guirsch, Belgium, approximately three (3) miles north of Arlon. 19 January 1945 – QM moved to Mitz, France. 23 January 1945 – QM moved to Moyenvic, approximately twenty (20) miles NE of Nancy, France, Seventh Army sector. 24 January 1945 – QM moved to the town of Gungwiller, France. 26 January 1945 – QM moved to the town of Bettwiller. 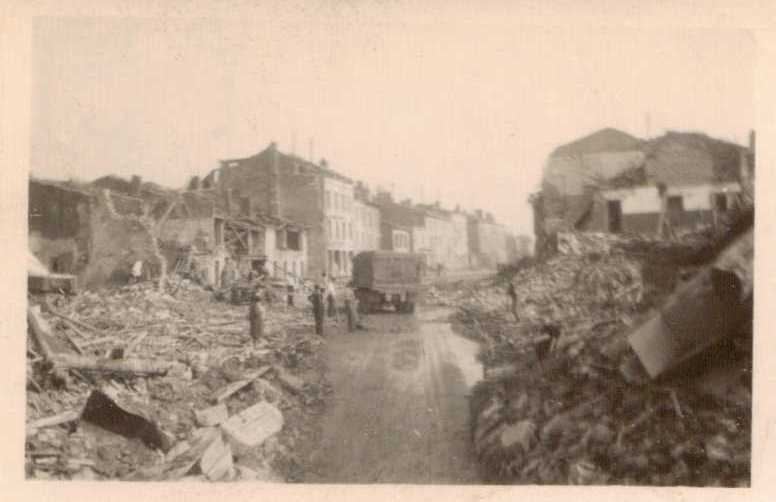 30 January 1945 – QM moved to Verdun, France. 31 January 1945 – QM moved to Rijckholt, Holland, approximately six (6) miles SE of Masstricht, Ninth Army sector. 15 February 1945 – QM Company awarded Meritorious Service Unite Plaque by G.O. No. 12, Hq. 35th Inf Div. 1 March 1945 – QM moved to NUCLELEOVEN, Germany. 2 March 1945 – QM moved to BRUGGEN, Germany. 4 March 1945 – QM moved to STRAELEN, Germany. 11 March 1945 – QM moved to BRUGGEN, Germany for rest period. 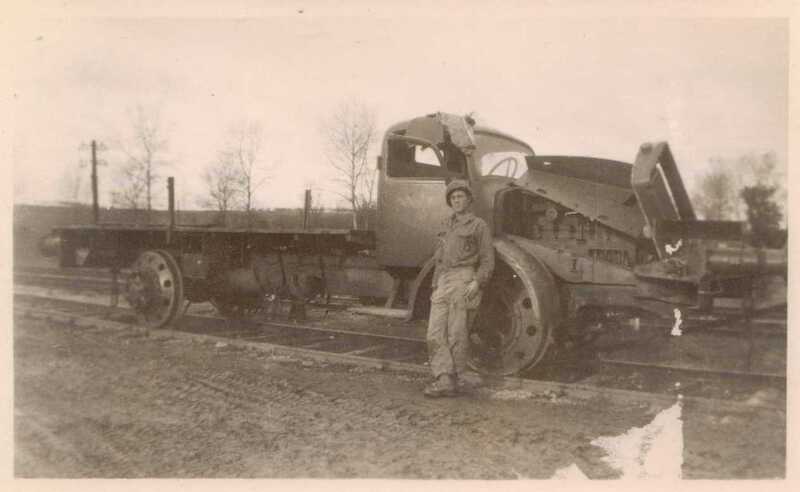 26 March 1945 – QM moved to area East of RHINE, in town of LOHNEN. 30 March 1945 – QM moved to DINSLAREN, Germany. 1 April 1945 – QM moved to vicinity of GLADBECK, Germany. 12 April 1945 – QM moved to RECKLINGHAUSEN, Germany. 18 April 1945 – QM moved to DOLLE, Germany. 20 April 1945 – QM moved to East edge of TANGERHUTTE, Germany, approximately four (4) miles West of ELBE RIVER. 26 April 1945 – QM moved to BURGDORF, Germany, fifteen (15) miles NE of HANHOVER. 7 May 1945 – Hostilities with Germany’s forces ended, to be effective 0001 9 May 1945. 17 May 1945 – QM moved to ASCHEBERG, Germany, 15 miles South of MUNSTER. 19 May 1945 – QM moved to BOCKUM, six (6) miles west of HAMM, Germany.